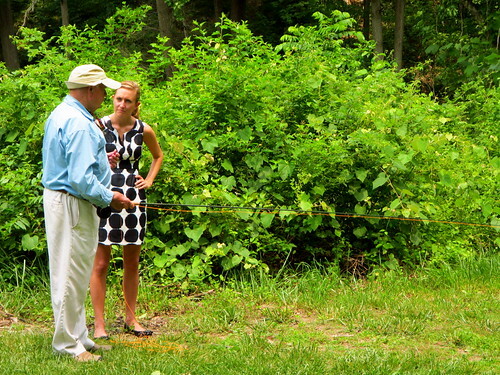 Just after dedication ceremony for the Lefty Kreh Trail, Lefty showed Lauren some casting basics at the Masemore RD access along the Gunpowder River. Lauren had heard about Lefty for years from her dad Jay, a Gunpowder regular from NY. 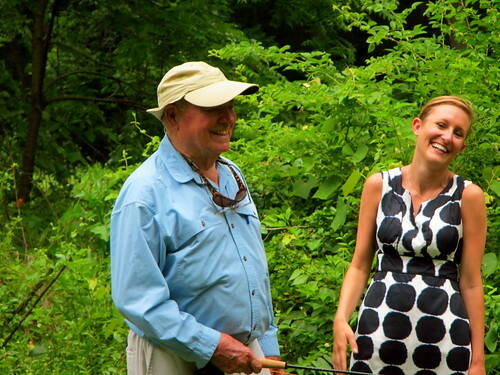 Lauren was lucky to corner Lefty for a quick casting lesson after the dedication and proved to be an apt pupil. She will be headed out west this year. Good luck Lauren, with Lefty’s help you may well outfish your dad! This entry was posted in news on June 16, 2012 by Theaux Le Gardeur.